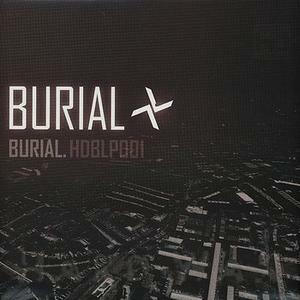 This first album on KODE9's Hyperdub label comes from the mysterious Burial.Burial carves out a sound which sends the dormant slinky syncopations of UK garage, via radio interference, into a padded cell of cushioned, muffled bass, passing through the best of Pole's Berlin crackle dub. Burial explores a tangential, parallel dimension of the growing sound of dubstep. Burial's parallel dimension sounds set in a near future South London underwater. You can never tell if the crackle is the burning static off pirate radio transmissions, or the tropical downpour of the submerged city outside the window. In their sometimes suffocating melancholy, most of these tracks seem to yearn for drowned lovers. The noise is not violent, but caressing, tickling, exciting the ends of your nerves. Seducing you in.